Off Broadway Street: Where the Firestone Complete Auto Care is ONTO 54th Steet towards Molnar Drive. Off Linden Ave onto Molnar Drive where the Boulevard Bar and Grill is. Left onto 54th Street towards Broadway Street. Off Broadway Street: After the K-Mart but before the Enterprise Rent A Car ONTO 54th Street towards Molnar Drive. Sell Your Car in Elmwood Park - Fast, Safe, Fair! 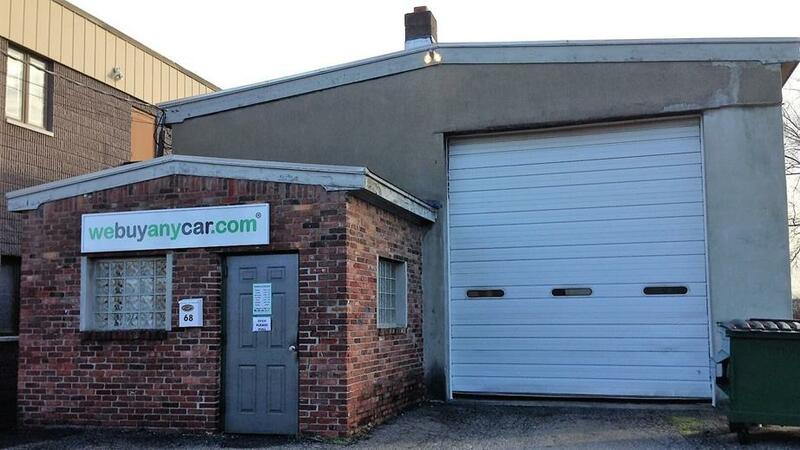 When it comes time to sell your car, turn to webuyanycar.com's Elmwood Park location. Our car buying center is staffed with a friendly and professional staff, ready to help you sell your car quickly and conveniently. Our fast, safe and fair approach will get you cash for your car immediately. Start with a free online valuation to find out how much your car is worth. Once complete book an appointment to bring your car, truck or SUV over to our Elmwood Park branch at your convenience. We’ll inspect the vehicle, take it for a test drive and compete the sale. We’ll have you in and out in about 30 minutes with a check you can cash or deposit immediately. Avoid the stress of selling privately, sell your car at We Buy Any Car Elmwood Park today. We've listed answers to the most common questions on the frequently asked questions section of the website but if you'd like to talk to someone, you can reach Joel Gue who manages our Elmwood Park car buying center at (201) 773-1009 during branch opening hours, listed above. You'll usually be met by Joel Gue, who manages our Elmwood Park branch. Joel will check your documentation to ensure you have the correct paperwork and necessary items and will then conduct a short inspection of your car. This usually takes around ten minutes and you can accompany Joel while your car is reviewed. If you cannot arrange a ride home in advance from a friend or family member after we buy your car, our branch manager will have a list of public transportation available in the Elmwood Park area.